My name is Maria and today I became a woman. I became a woman of the society, a woman from filth. The other five girls and I were paraded in front of our mothers and fathers, slatted painfully in the joy of the crowd and became whole. The situation was neither embarrassing nor shameful. It was depressing, nonetheless. In between our tears and Mucus River, we became women. The soil drank us whole and felt fulfilled. They claimed we were of age because our breasts danced underneath our shukas. They argued that our bottoms which had started wobbling and dancing freely were getting unwarranted attention from the young men. They insisted that desire would fill us up and our legs would ramble apart, ushering us to sin. They were convinced our minds would imagine the wrong things, ears would hear the forbidden and hands would touch what would evoke desire. A vicious cycle, they said. They neither saw apprehension in our teary eyes nor the curses lurking behind our quivering lips. With the spilt blood, our destinies became one with Tumolo village. “She is ready,” my father would mumble between his drunken teeth. Words that my beloved mother despised. Detested. Disliked. Today I became a woman. A woman my father wanted. A submissive woman of Tumolo village. Two nights ago I became a victim of the female cut. The ignorant clapped at Female Genital Mutilation. I had to undergo this because my culture dictated so and my father was the vessel that saw that it was fulfilled. I had to go through this because my ‘suitor’ was ready. I had to undergo this, because my beloved mother did too, a painful baton passed on from mother to daughter. The pain was severe that Mama Bena, the elderly village herbalist had to be summoned to my rescue. My father shrouded himself with a coat of grief at the thought of losing his cattle should the pain claim me. I was being sold off at the price of a few cattle I could count on both hands. I was to leave my beloved mother behind. It was tradition. In between my blurry eyes, I saw him pacing left and right, up and down in the tiny brown thatched muddy hut. His discomfort out-shadowed my pain. His chest heaved. He was breathing hard. I had to live. I had to live for my father, for his pride, for his cattle. I had to stay put and prevent my mother from leaving. My endurance to the pain was the adhesive holding this whole arrangement together. I felt the lower part of my body fade away. 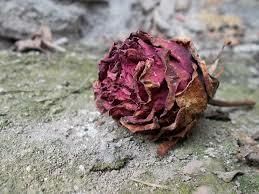 I was a flower, a decaying flower. It was Christmas for the ground as it danced to the smell of my blood, got wasted and could no longer hold my little mattress. All the organs inside me were crying for attention. While the drums inside my head increased their tempo, my bonny muscles felt weak. I could neither lift up my arms nor pull myself up; but I had to live, for my father, and prevent my beloved mother from a shamefully separation. Mama Bena, the village saviour, gave me boiled herbs from the bitter ekhwe tree which soothed my pain. My father is relieved. We are all relieved. The famous ekhwe tree is Tumolo’s go-to pharmacy. It is located at the centre of Tumolo. It has tiny thin curved green leaves, sore thorns, gigantic roots and its medicinal effects are remarkable. Its sup is not the ordinary type but blood coloured to signify life. These leaves according to Mama Bena can be munched raw, pounded and sprinkled on a sore scar or boiled hard to release breath-taking results. “It was a tree which knew our roots, our frailty. Our great grandparents had sought its cure, and now sadly, its cure was being imposed on us. Long live the ekhwe tree. My mother has been teaching me how to read and write. It is taboo for women to learn this in Tumolo village. If caught, we could be ostracized. My mother would receive a severe beating from my father. In this village, the roles are distinctive according to gender. Men do ‘everything’ that women should not. While the women have to be extremely submissive, non-responsive, non-influential and caretakers, the men have to be leaders and planners. They share a collective dislike of learning to read or write. I am expected to be my mother’s diligent, subdued shadow while the men their fathers. We are all illiterate of the books but literates of the world. The world of Tumolo. Tumolo village is our teacher. My mother also was cut like me. She cried like me. She almost died like me. She fought hard to sire sons for my father but fell third as my his wife. She sired a child, Maria; I, a girl whom the society had no use for. A male child would have been better! As I grew older, she let me in. She was full of wisdom and sweet words. She knew how to curl her words into colourful flowers. she possessed an intelligence that could neither be learned or unlearned. She taught me what she learnt from the woods, from the missionaries who once came about and were chased by these goons. Yes, missionaries did come, long before I was to be sired, they preached good news, wanted Tumolo to be educated, but the men in the village saw and heard their wives speak, they were raged with jealously. No woman should be better than their husband. They chased away the teachers, almost chased away their wives, but held back, ultimately beating them back into their illiterate boxes they were in before, hence our ‘dumb’ mothers. My beloved mother taught me how to write, spell and pronounce words. In the wee hours of the night when my father was bedding either of his other wives, the moon fully lit and Tumolo was as silent as a grave, she would come to my tiny hut and breathe wise knowledge in me. My father knew nothing, dumb like the others; he had to remain that way. “When you take one potato and another potato, you have two potatoes, the creatures you see or hear in the woods are called wild animals, stay away from them! P.o.t.a.t.o, is a spelling for potato,” she would say. “I want you to be better and smarter Maria, to think, speak, engage and act different and break free from these strong tiny but loose chains”, she would utter. I write when the village is asleep with no sounds from the noisy crickets. I write with no light, but I write. I write to give from to my agony and separate myself from these traditions. I write to be a different girl of this village. I write to forget the daily hard chores. I write to give myself meaning. I write because I know how to. I write because if I fail to write, I will lose sleep. I write to continue with this beautiful art that my beloved mother taught me. I write to make her proud for I am her only seed. I write because I have those words, I can utter them and spell them. My book is comprised of old brown papers, a gift from my mother. I use a blunt pencil to scribble my thoughts away then hide my thoughts inside my safe wall. I will dig my own pitf and throw myself in; It would be better not to be found. Days morph into nights at Tortoise speed. I am to be sold off soon. Anna, my sister from the cut joined our forefathers today. Her pain was too much and life ebbed out of her through her excessive bleeding. She was a thin stick with sickly eyes. Her cut bore infections. Mama Bena claims that ekhwe tree performed its duties but Anna was weak. She claims Anna was a sinner too, a reason she had to leave. The village is torn between mourning for her or dismissing her as a sinner who had it coming. Anna’s father, Mzee Matamu has been abandoned. He was to receive land and cattle as bride price but they are no more. His hope has been swallowed in the darkness of the grave. Cattle is a symbol of class in Tumolo, your respect quadrupling as your herd increased. He walked braggingly shouting how her daughter Anna would be the fifth wife to his friend and how he would use his rewards. He made my father sick from those remarks. Now, her daughter is no more. Mzee Matamu sits outside his hut. His head is bowed and you can see the gray strands of hair in the middle. His three-legged stool submits to his overbearing weight. It shakes once or twice to achieve balance. The sun hits him thoroughly, drying his words such that he speaks nothing, sees no one and has taken to eating his own words. He mourns the loss of his gifts first, then his daughter. He shakes his head constantly, beating his chest and spitting furiously on the ground. He blames not himself, but the entire village, especially Mama Bena. He blames the shrill razor blade and infection but fails to see past the harmful tradition. Do not count your chicks before they hatch. The village has been busy with the marriage preparation of the remaining four girls and me. Our men have been working harder in the woods, hunting and gathering essentials for the celebrations. Our mothers are busy making us wedding attires and accessories. Every night they sit in circles on the grassless grounds and hum away as they knit and grit. Their excitement goes past the humming and they share their own stories of how they received the cut, got married and have been siring since them. A sickening silence gathers around them after they narrate their experiences. We, the girls are nervous and confused. Sadly, Anna was thrown to the wild beasts. It is tradition. When you die a filthy death, you receive a filthy burial. Tumolo village is a large old structured community with strong beliefs, traditions and taboos that guide us. The occupants live in huts. The more wives one has, the close they are to ekhwe tree. They believe in urgency. The huts comprise of a wooden door with no latch. Privacy is not accorded in this community. The women cook in one place and distribute the foods to their husbands and children unequally. In the evening, the fathers take their sons deep in the woods of Tumolo village away from the vulnerability of the women and teach them how to be men. The women stay at home with their daughters and teach them to be dumb. This village is comprised of elders and sub elders who are in charge. All these positions are male-dominated. My father, Mzee Tanju, is a sub elder. Our elders ensure that all the cultures, beliefs and traditions are upheld. A man whose homestead comprises of only females is looked down upon, labelled as weak and lacks a table with the Wazee. An adulterer, thief or witch if caught are banished and killed respectively. We have to adhere to the rules and regulations of this place. Topo, the village adulterer, who was once a respectable woman and married to Mzee Tanju, was stoned to death because she loved to be with different men. She was found in her own bed with the chief sub elder and stoned afterwards. Her death was a lesson to all those women who admired other women’s husbands. No other woman has been found out yet. My mother beckoned me today and confided her recent concerns to me. She seemed worried for her face kept creasing. The way she kept fidgeting meant that whatever she had to say wasn’t pleasant. “Has father found out about our secret?” I jumped in before she could say anything. “No!” came her sharp response. Her face remained creased. My mother broke down as she revealed I was to be the tenth wife of Mzee Boko. I was shocked. Shaken. As her words sank in slowly, I felt deflated, like every word was displacing any amount of strength I may have had. Was my father this greedy? Tenth? How? The sound of approaching footsteps killed her words before she could utter them. Mzee Boko is the wealthiest elder of this village. He only goes for young, fine things- cows, goats, girls. He owns three quarters of this village. The villagers almost worship him, and whenever he barks, the villagers respond promptly. I hear that he mistreats his wives, beating them with or without mistakes, always expecting them to only bear male children. What if I am my mother’s daughter and fail to bear a male offspring? What will happen to me then? Will I be beaten to death? Tortured? Or made the villagers laughing stock? I am to be sold off a day from now. I am scared. I spent the whole of this day locked in my hut. My father believes that I am anxious for tomorrow. My mother is aware of my pain. The other girls believe I want to outshine them. I have cried until there are no more tears. I have cursed my father in silence continuously. I am in conflict for I am not ready to be a wife, a tenth wife to an older man. My father is wrong in his choice. His pride has blinded him. He sees no more. I am only fifteen years of age. I have flowered into a beautiful woman. My mother says I resemble white doves for their beauty. I am aware of my good looks for the other girls envy me and the young men can hardly tear their gaze away from me when I walk past them. I deserve to enjoy the careless bliss of my youth. I deserve to make my mistakes. I deserve much better than Mzee Boko. My father whom I loved and adore has failed me. I will punish him. I will embarrass him. I will ruin his reputation. I will turn him into Mzee Matamu. I am sorry father. Greetings, I am Teresa, Maria’s mother. Today was the girls’ older wedding but Maria failed to show up. The whole celebrations had to be cut short. The other girls are sobbing for they are ready to sire. It is our tradition for all the girls to be married off at the same time. Mzee Boko is furious with my husband. He claims to have influenced her flee. I remain silent and dumb as they always perceived me. I know nothing, I heard nothing. My husband has tried to beat an answer out of me. I only ooze silence. I have to protect my daughter, the only daughter I have ever known. In the wee hours of the morning, Maria left for the woods. I knew of her writing and where she hid her thoughts. Her father has sworn war on her. He is agitated at having lost his rewards. She has demolished him, and even if he is not ready to accept defeat, it’s obvious he is at a loss. A few young men have been sent off to search for her. I am at fault for I swayed her decision. She was my fruit. The only fruit I cherished in this village. She deserves better. She deserves to break from these chains. I’d rather she gets killed by a wild beast in the woods and not by societal wrath!